KAMPALA – The Law Development Centre (LDC) late last week released results for the academic year 2017/2018, recording the highest failure rates ever. According to results seen by this website, only 135 students out of over 900 passed the exams that would see them attain Certificates for Legal Practice. Over 596 students failed one, two or three core course units. They will sit supplementary exams and pass them before they are cleared to graduate with the other 135 students. To help students finish the course and graduate in time, the Centre implements a supplementary exams scheme where students that fail in not more than three-course units are allowed to sit the exams again before graduation is held. Supplementary exams, in this case, are retakes in the failed course units with the difference being that you don’t have to wait an entire year or so to re-sit them since they are provided to help you graduate with the rest. The same luck, however, will not be falling on another 35 students that failed in more than three core exams and the only remedy for them will be repeating the course the next academic year. 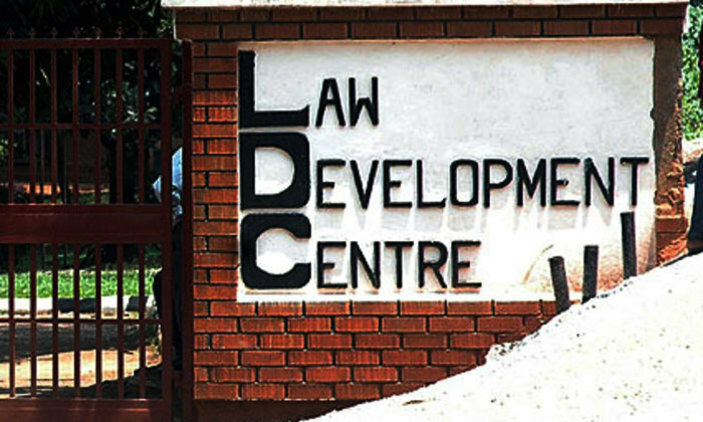 LDC was established in 1970 by the Law Development Centre Act as a government-owned institution of higher learning responsible for research, law reform, publications, and law reporting and community legal services. Due to high failure rates and persistent public outcry, the Centre opened an upcountry branch in Mbarara to increase their service scale and admit more students. Is this why many lawyers are failing to become advocates?